Tom Clancy’s Rainbow Six Siege is a new game published by Ubisoft and developed by its Montreal subsidiary. It is a tactical first-person shooter game (with emphasis on team-play) and can be played on PC, PlayStation 4, and Xbox One platforms. This game was first publicized during the E3 2014 in Los Angeles. 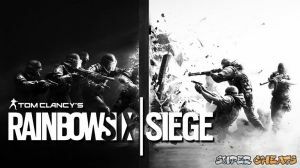 Many are considering it to be the replacement of Rainbow 6: Patriots, but this is just speculation and is still not confirmed. The campaign mode of this game is playable as a alone in single player or can be done with other players via co-op. This game is played mainly online multiplayer. This game features the basic concept of either saving or keeping the hostage in a home set-up. The Rainbow will try to save the hostage/hostages or defuse the bomb/bombs by using a varied set of modern surveillance technologies to look out for traps that were set by the hostage takers. There are also equipment that can breach through a wall, doors, and even floors. The game environment itself is mainly destructible. Rainbow Six: Siege will not be the usual standard team deathmatch as gamers will get extra points for playing as a team by completing objectives, not on just kills. A multiplayer match will last for three minutes roughly as said by Xavier Marquis, the Creative Director of the game. The closed Beta of this game is currently available for PC, PS4, and Xbox One gamers. The current beta have PvP and the TerroiristHunt mode which will be explained later on. Terrorist Hunt a fixture in the previous Rainbow Six will be back on this game and will be renamed as TerroHunt. In this game mode, a team which consists of five players will have to fight through waves of enemy and complete their objectives such as neutralizing bombs and rescuing hostages in 11 locations. Terrorist Hunt will have several difficulty settings, one is the Realistic setting, where a teammate can be killed even with a single shot. The Realistic setting can also be played in Campaign mode. NOTE: This is a work in progress and will be updated regularly. The latest patch involves several fixes, performance improvements, and gameplay balances. Rest assured everything in the latest patch is taken into account in the writing of this guide.